As the holidays draw near, it seems we’re all getting busier by the day and more stressed by the hour. Still need to rearrange furniture to make room for the tree? Maybe you’ve worn grooves into the linoleum from pacing around the kitchen in anticipation of that dinner party you’re going to host? Whatever your situation, you might think it’s too late to get your home into Santa-style shape. Here are five steps for de-cluttering your home in time for the holiday festivities. 1. Focus on the main rooms. Pick the rooms where your family and visitors are likely to linger, mingle or dine. Concentrate on the dining room, living room, main bathroom and coat closet, for example, before you worry about the kids’ bedrooms, the tool shed out back or the canning cellar under the stairs (shout-out to my family back in Appalachia). Remember — you can always go through other rooms once you’ve handled the main ones, but if you’re pressed for time, don’t set unrealistic goals. Concentrate on the important, the reasonable, the achievable. Once you’ve picked your targets, make sure you take on just one room at a time. 2. Out with the old. 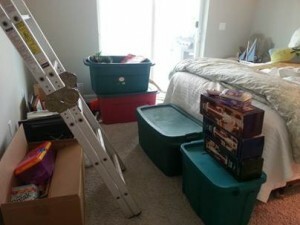 It helps to organize and arrange what you want to keep by removing the items you don’t. Gather boxes and label them “donate,” “junk,” and “maybe.” Then, start filling the boxes. Use the “maybe” container for the things you know you should toss – like that decorative “glam rock” rudolph statue you thought was a good idea back in December of ’86 – but don’t have the heart to let go. It’ll help get the ball rolling without causing hesitation or regret since you can make those tough decisions later. 3. Think big. Once you’ve cleared out the clutter that has to go, look at the furniture and larger items in the room. Rearrange before you do anything else. For example, if you need to move the couch to fit the tree into its proper corner, or if you have to slide a random floor cabinet from the dining room to clear space for a kid’s table, do that now. 4. Details matter. Now that you’ve handled the big, space-hogging furniture, take a second look at the room. Notice dirt or dust one the floor where the couch used to be? Are there any stray DVDs, books, papers or other eye-sore-type clutter laying around? If so, sweep the dirt and put the movies back where they belong. If they don’t have a proper place, create one. You can always hide a stack of DVDs under an end table with a floor-length table cloth. Get creative and hide any unsightly clutter that you can’t get rid of. Just resist the urge to bury your husband’s full-size Christmas Story leg lamp in the backyard. Remember, the holidays are supposed to be a peaceful time. Avoid inciting World War III. 5. Teach and preach. This is probably the most important step. If you don’t tell your kids or spouse where things go, they won’t know how to put things back. Stay on top of everyone and let them know that clutter and messy rooms won’t be tolerated (until after the holidays, at the very least). Bonus Tip: Get your family to help. By “get,” of course, I mean force, threaten, bribe or anything else you can do to get them to chip in. Let them know that you are NOT going to do this alone. The more they help, the more likely they’ll be to stay on top of the upkeep afterward. Once you’ve finished, sit back and soak it all in. After all, the holidays only come once a year (thank God). This post was generously was written by Dan Reidmiller, Creative Director for College Hunks Hauling Junk. College Hunks Hauling Junk and College Hunks Moving is a national junk-removal, labor services and moving company, with franchises serving 45 markets in 25 states, including areas such as Central PA, Chicago, Dallas, Denver, Indianapolis, Los Angeles, Northern NJ, Tampa Bay, Washington DC and now Miami. Holiday decorations are an important part of the season. They help to get us all in the holiday spirit and bring a touch of fun into our homes. While each family has their own traditions for how and when they will decorate, we’d like to offer some suggestions on how to prepare for the decorating process in an organized manner. Remove your holiday decorations from storage and review the contents. If anyth ing is broken or needs repair set the items aside and take appropriate action. Then determine if there are gaps in your collection that need to be filled or if there is anything special you’d like to add this year. Take care of all decoration shopping before you start the actual decorating process. 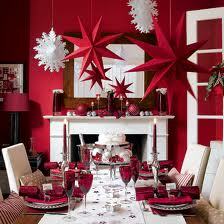 Decide if you have a particular theme or type of decoration that you’d like to highlight this year. Check your Christmas lights to ensure they are working properly. Double-check that you know the location of miscellaneous, but important items, such as the Christmas tree stand or stockings. Tradition Trees in Metro Atlanta offers a service that will deliver, install, remove and recycle your Christmas Tree. They can also provide wreaths, roping, and other related items. Prices vary depending on tree size, so visit their website for details. The Christmas Light Pros also in Metro Atlanta provide professional holiday light hanging services, including installation and removal in January. Call for a free estimate. And of course, The Well-Organized Woman offers full interior holiday decorating services, including decoration purchase, concept design, and organized packing following the holidays. For more tips and ideas about the holiday planning process, check out our recently released Holiday Planner eBook on Lulu.com. The printable planner is filled with helpful worksheets, checklists, and timelines to assist in your organized planning process.